You are here because you might be wasting money on food and you are trying to solve this issue. 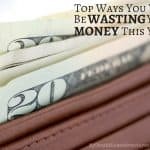 The truth is that at one point we all do some of these things that turn into wasteful financial habits. I'm sure you are wondering how exactly almost every day we waste money on food and this list will show you how. As much as I love to save money, at one point, I thought I loved to waste more money than save. Spending money was like my #1 thing to do, and the sad part was that I wasn’t aware of how much of my money I was wasting. Cutting back my spending on food was, and still is, hard for me sometimes. You see, we love wasting money on food it seems, and this is why we are going to end this waste. Americans spend hundreds of dollars a month on food alone, and it is one of our most significant expenses in our budget. We look for ways to save money on food and sometimes don’t even realize that our behavior is the reason we spend so much money on food. I get it; we love food. We enjoy food, but changing some of our habits will eliminate wasting so much money on food. There are many ways we can change. There are many ways we can turn bad habits into money-saving habits that will save us hundreds, even thousands of dollars on food for an entire year. 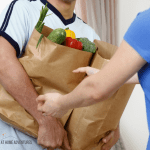 6 Lazy Ways to Save on Groceries Today! Below are the reasons why you love wasting money on food. We, at some point, are/were guilty of at least some of these things. Below are 35 reasons why you love wasting money on food. We, at some point, are/were guilty of at least some of these things. To see an increase in our savings you have to skip doing a few to all the things listed below. We even offer some solutions to help reduce your grocery spending. Food is your most significant expense. If you are struggling every month with your budget and you are seeing that your highest budget category is on food, you might have an issue. How much should a family spend on food per month? Now a study in 2016 stated that money spends on food was about 13.1% of a $6,224 monthly family income and approximately $32.6% on lowest income households with average spending of $3,862. The US Department of Agriculture August 2018 Official USDA Food Plans shows a very detailed average ranging from a Thrifty plan to Liberal plan. It breaks it down by family size and even children ages. An example, a family of 4 with spouses between 19-50 years and children of the ages 2 to 3 and 4 to 5 years of age have a thrifty plan of $562.40. This is only on their Thrifty plan, their Liberal plan has it over $1,000, and if you are spending that amount on just food, you need to re-evaluate your grocery budget if you are financially struggling. Spend more money on food outside of the home than groceries. Good question and the US Department of Agriculture states that Americans spend about 6% of their food budget on food and 5% dining out making American’s food budget about 11% a month. To help bring your food cost down try budgeting 6% for grocery each month and 5% for dining out. Now, better yet, reduce the amount of eating out and use that money towards your grocery budget instead. You spend more than the average. Again, if you look at the statistic and you see that you are spending way more than the average on food you need to investigate why? Why are you spending more money? What is it that cost you money? Are you budgeting? It is essential to find out why you are paying more than the average on food cost. If you go shopping and you are hungry, you will spend more money. This is not a funny joke is a proven fact. To avoid overspending on grocery, eat before you go! Shopping with a full stomach will avoid spending money on food you think “looks good” because you are thinking with your stomach and not your head. You over buy vegetables and throw them away because you don’t get to use them. Vegetable waste happens, and it happens more frequently. You go to the store and purchase all these fresh vegetables only to end up throwing them out? Americans waste 1 pound of food a day, and 39% of it is fruits and vegetables. The sad part is that the majority of the time we throw them away because they look bruised. How many times have you seen a bruised banana and have thrown it away? Maybe eating a bruised banana is not what you like, but how about using that banana in other ways? That bruised banana could be a smoothie? Even banana pancakes! Bring your bags and take advantage of store cash bag for bringing your bag. Before you go shopping for vegetables, think about how you are planning on using it and how would you extend the home shelf life. You don’t buy at ethnic food stores. Here’s a fact for you, ethnic food stores such as Asian markets, Spanish stores, Mexican stores, etc., have lower prices for fresh food and ethnic foods. A bigger chain store charges more because it has expenses to pay vs. an ethnic market. Their vegetables and food come from their warehouse and their company trucks. They use high tech equipment to scan their products. They even use more expensive equipment to unload the product and stock it. We make a run to the city to hit the Latin market and get great deals on produce and other items that are sometimes double even tripled the prices if we buy at a local chain store. You don’t take advantage of store rainchecks. Always make sure you know if the stores you shop have a raincheck policy and take advantage of it. 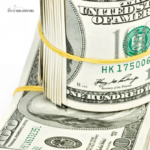 You will save money by taking advantage of this. You don’t have a food budget at all. How do you know how much you are wasting or saving on a food budget if you don’t have a budget at all? A budget is essential; it is a blueprint for your finances. 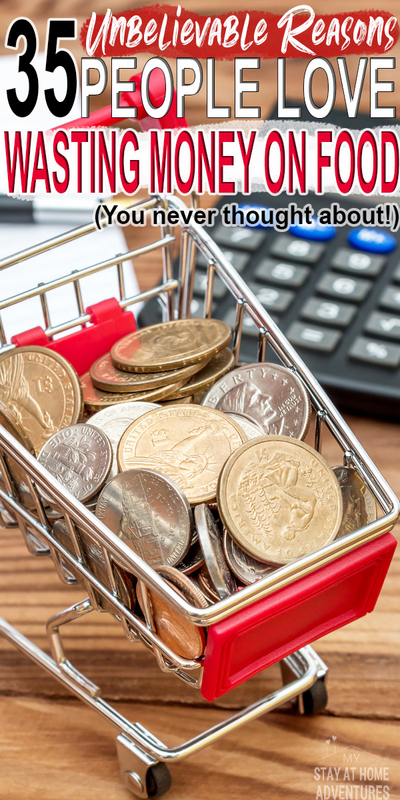 Keeping track of every penny you spend will help you manage your finances better. This is a fact. If you go shopping for food with no budget, you are going to waste money. You don’t buy products that are in season. 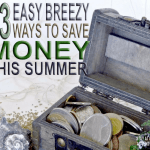 Take advantage of products that are in season and save money! Is that simple! Seasonal items go on sale, and a sale means saving money. Not sure what’s on season, easy! Click the link for Seasonal Food Guide, add your location and it will show you what’s on season in your area! You don’t seem to want to read the expiration dates before buying. If you shop without taking the time to read the label, you are going to waste money on food. Legally, grocery stores must place soon to be outdated items in the front and the newest fresher items in the back. When you buy something and don’t look at the expiration date, chances are you are going to end up throwing this item away resulting in wasting money. You don’t do an inventory of your pantry and freezer. How do you know of what you already own if you don’t keep track of what’s in your pantry and freezer? Creating an inventory list of food items, you already own will reduce your grocery spending, and by a lot. If you don’t have a plan, you are going to overspend. This goes with planning meals as well. Creating a meal plan will save you money, and this is a fact. Knowing what you are going to cook or eat will avoid the guessing game and over spending money on food. You don’t shop the ads. You head to the store and don’t know what the sales will cost you money. Knowing what the store sales are means, you will be able to save money. Use a meal plan and look at the store ads will save you money. You visit the grocery store every day. After you work you make a “quick” stop to the store to pick up dinner. You are wasting money! You are going every day to the store, not using a meal plan, or looking at sales ads. You are just buying to buy and make dinner instead of doing it smart and shopping once a week and avoiding wasting TIME shopping for food every day. You don’t look for cheaper alternatives. You have no idea that a cheaper alternative might cost you less money. Always search around for alternative ways to bring your cost down. Don’t know what the rock-bottom prices are for food. If you have been shopping in the same stores, you will know what items go on sale and for how much. Always keep that in mind when shopping because the opportunity to buy the item on sale will be coming soon and you can stock up. Don’t look at store sales. You must look at all store sales that you usually shop. Many stores have different items on sales and will save you money by shopping around. Comparing prices will save you money! It may take more time, but it will save you money when you research the item, even check online! The frustration of not knowing where things are will cost you money. You won’t be able to find what you are looking for or what’s on sale. Learn your store layout and find out those hidden clearance locations. You don’t check your receipt for errors. 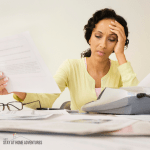 Nothing is perfect, and many people tend to not look at their store receipt to double check for errors. You don’t use store membership cards to save money. Store membership cards or reward cards will save you money by awarding discounts on items and even coupons. If you purchase a membership and you never use it, again you are wasting money. You don’t negotiate at the farmer’s market. If you are the farmer’s market, there is nothing wrong with negotiating prices. The worst thing that could happen will be, no. You don’t create your own meals. Creating meals at home will cost you money. If you create a meal plan you will be able to create meals faster and save even more money. Don’t grow your own herbs. Growing your own herbs will save you money and honestly it won’t be as hard as you may think. Fresh herbs taste better too! You don’t follow produce cycles. You might see produces that go on crazy sales every six weeks. 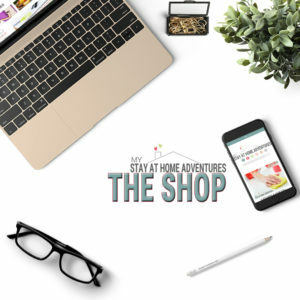 Learn what these products are and buy them when they go on sale. You don’t get meat in bulk. Buying meat in bulk has its advantages and one of them is pricing! Buy meat in bulk when it goes on sale and freeze the rest for later. You don’t utilize your leftovers. To reduce food waste, utilized your leftovers! Leftover meatloaf? Create a meatloaf sandwich to take for work the next day. You don’t stock up on sale items. If an item is on sale and your budget allows it and you use this product? Stock up! You don’t buy in bulk. Just like meat, there are many times when buying items in bulk will save you money. You don’t buy frozen goods. Frozen food has its benefits and believe it or not, frozen vegetables are sometimes better than the fresh produce you buy at the grocery stores. An example will be when you buy frozen produce from your grocery stores, most products are frozen right after picking. According to The Frozen Food Foundation, results from studies suggest that frozen fruits and vegetables are generally equal, or better, than fresh fruits and vegetables. You don’t buy canned veggies. Canned veggies are affordable, they last, and will save you money. If fresh is making you waste money, then switch to canned veggies! You buy things because they are cheap, not because you need them. When we see a good deal and we simply overbuy and don’t think of anything else but to grab the sale items. The problem is that maybe you don’t like that product? You don’t use the product as often and you don’t need them. You just wasted money because you thought you were getting a deal. You don’t check the unit price on grocery shelf tags. Unit price is total sales revenue divided by total units sold. Always check and see the unit price and compare with other brands. You don’t shop with a list! You seriously go out there and shop for things without planning or a list. When you create a shopping list of items you need and stick by the list, you will save money. Food is your biggest expense. Don't bring your own bags and take advantage of store cash bag for bringing your own bag. Don't shop with a shopping list. Here are my 35 reasons we love to waste money on food, and you have to agree that we have been guilty of some of these things. 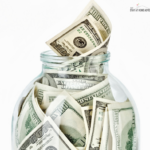 The good news is that we can change and turn these tips into money-saving habits. What would you add to this Money Wasting On Food list? Do you agree with this list? Share it with us.